Note: The organisers of Metamorphose announced this morning that the event has been called off due to a typhoon. They are putting us on in a club in Tokyo @ 3 AM..Im not sure where but its in Shibuya. 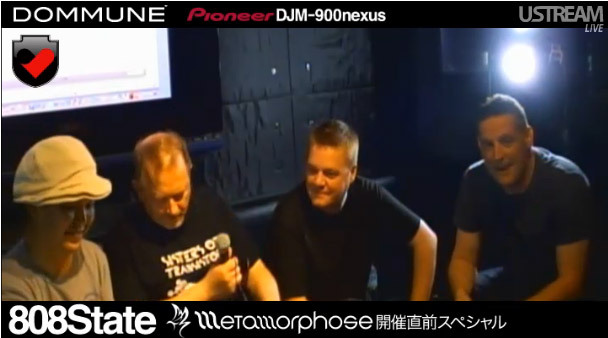 808 State now playing at Unit http://www.unit-tokyo.com/ tonight. Doors open at 11:00, 808 State on at 03:00. 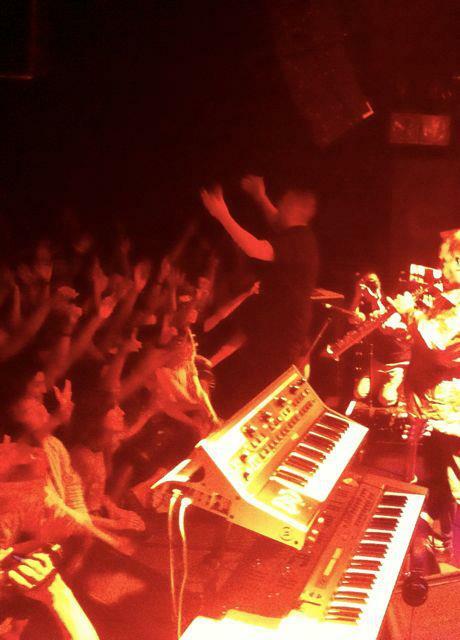 Live on stage at Club Unit, Tokyo. Japan appeared to have been to a festival in your country. Graham Massey and Gerald Simpson as like. Currently, we tour the world, look busy. Produced several CD's legendary late 90s through the 80s, is indispensable for two people on the history of techno. 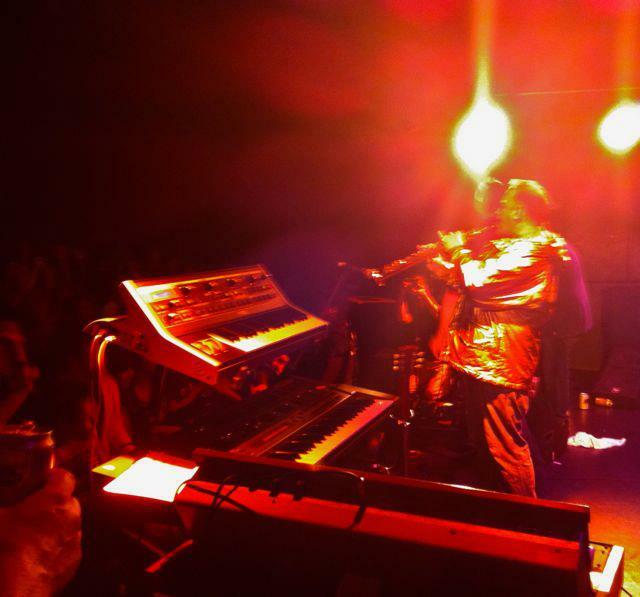 Has become very hard to see the items in the store, and felt acutely the love of synthesizers. It is good ARP T-shirt logo. I have been told that this was not reorganised, but an entirely new gig. Tickets from the original were not transferable and were refunded, so it sold incredibly well in a short time.